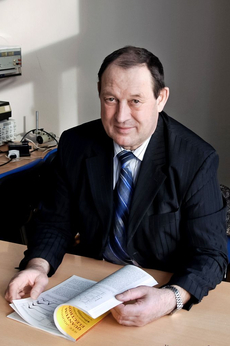 Professor Troyan graduated from Tomsk State University of Control Systems and Radioelectronics, majoring in Dielectrics and Semiconductors. In 1976 he obtained his Candidate Degree, and in 2005 – his Doctorate Degree in Engineering. At TUSUR University, Professor Troyan holds the position of the Head of the Department of Physical Electronics. Professor Troyan is an Honorary Worker of Higher Professional Education in Russia, Honorary Worker of Engineering and Technology in Russia, winner of the 2011 Science and Education Award of Tomsk region. Professor Troyan has published course books in Solid-State Electronics, Functional Electronics, Advanced Topics in Modern Electronics and Nanoelectronics. The area of expertise of Professor Troyan is film dielectric in strong electric fields and nanoelectronics. Professor Troyan is an author for 167 publications and 14 course books and teaching books in radio engineering, electronics and communications technology.